We’re edging closer and closer towards Autumn, aka the best season around. I’m talking burgundy lips, scarves, hot chocolates and halloween. I know, I’m excited too. 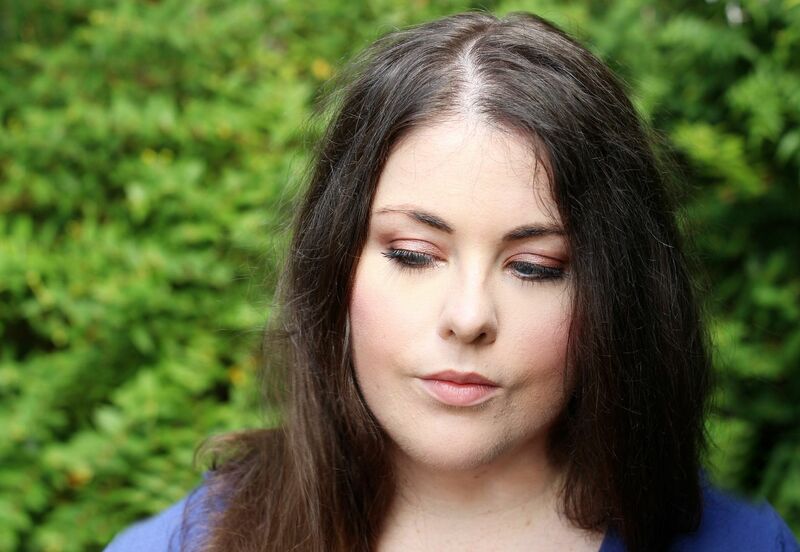 Before I bring out all my big jumpers, I’m still trying to eek out some more of the summer months though, and transitioning my makeup away from neon brights and into softer neutrals. 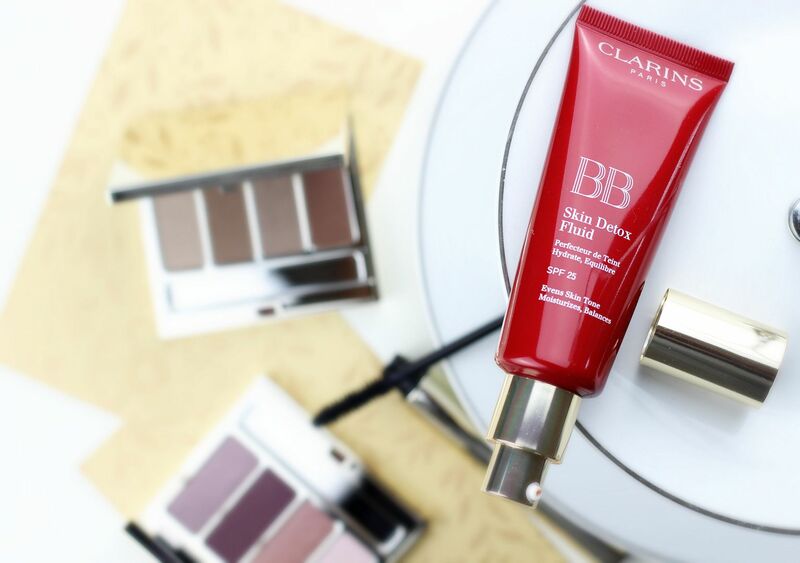 Enter Clarins, with their gorgeous edit of new products that are sure to get you excited for all things Autumn. The star of the show (or should I say stars) are the four little quads. 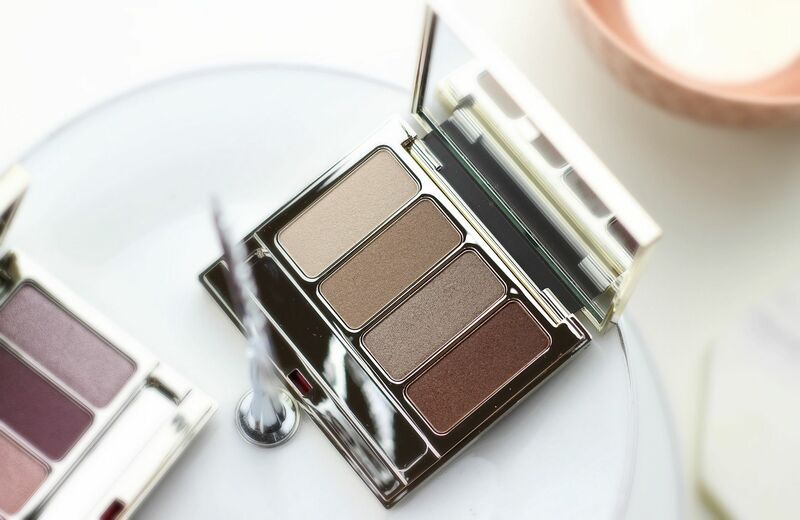 Each one has four neutral shades in a mix of shimmer, satin and mattes. My favourite is probably rosewood (wearing in the above photo), which has some gorgeous pinky shades that are really wearable. 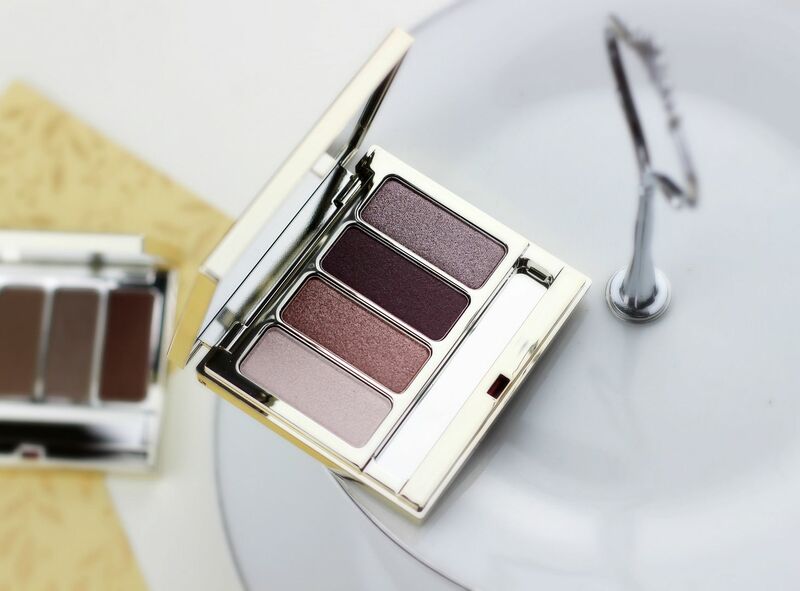 I love the compact little packaging as well – I’m going away this weekend and bringing one of these… I just can’t pick which! 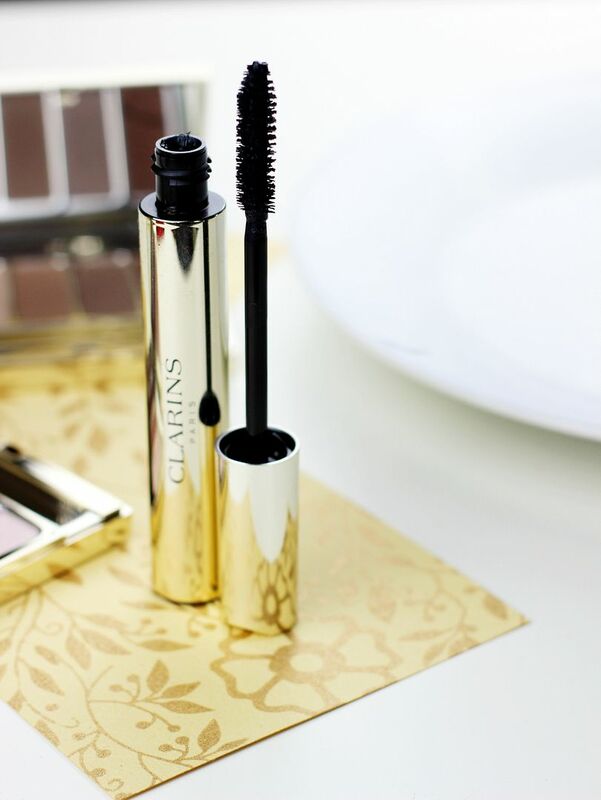 The Supra Volume Mascara I’ve been pleasantly surprised by – it’s the perfect day time formula. The brush doesn’t look like anything remarkable but it does coat the lashes really nicely and the formula is black. It doesn’t make lashes look crazy with lots of volume or length, but it does a nice job.